Red Roof Inn is renovating all of their inns nationwide This location now features redesigned rooms with more comfort and added amenities. Conveniently located off of US Route 17, the Charleston - Mt. 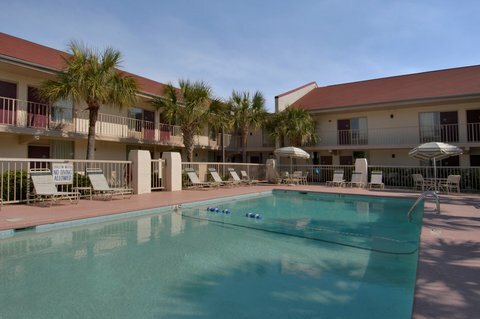 Pleasant Red Roof Inn is just 4 miles from Charleston's historic district and features an outdoor swimming pool. The Inn is also within minutes of many attractions and fine dining, just 1 mile from Patriot's Point Naval and Maritime Museum, 6 miles from excellent outdoor shopping and 10 miles from beach access. All rooms offer T-Mobile high speed internet access (daily fee may apply). This location offers On Command Video with a selection of free TV channels, pay-to-view premium channels, movies, music and games. It also offers internet access via TV for email and web browsing (daily fee applies).